It was a weekend I was looking forward to, as it brings a particularly enjoyable contest called the ARRL Sweepstakes. 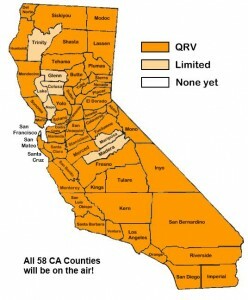 It’s actually the first part of a 2 part contest, this weekend participants use CW (Morse code) to make contacts with as many stations as possible in North America while trying to achieve a “clean sweep.” This year, the Ontario section has been broken into 3 separate sections, so operators must now work 83 ARRL/RAC sections. I have been fortunate to get achieve a clean sweep once in 6 tries (combined between CW and SSB) over the last 3 years. Unfortunately due to the lack of people at work, no one signed up for my weekend shifts, so I won’t be participating in Sweepstakes for the first time since 2009. I was hoping to work the CW contest (this weekend) more so than the SSB contest starting November 17 since I was able to win my section the last 2 years, running low power (100 watts). While I haven’t done much contesting the past 6 months, I was looking forward to work on a combined total of 1000 QSOs (contacts). The last 2 years I was able to break the 500 contact mark, but was not able to put in enough time to double those numbers. Chances are I high I will skip out on the SSB portion of this contest and wait in lie for the CQWW DX CW contest that starts on November 24. Its another contest that I enjoy operating in, but haven’t put in much over about 6 hours in this contest the past 3 years. It’s a long contest as well, 48 hours and trying to juggle work and family life when you have a 6 year old can be challenging. Hopefully my work schedule allows me that time to get at least 20-24 hours in. This would allow me to work some DX stations (outside the USA). The only other contest I might consider this year will be the ARRL 10-Meter contest in December. It’s another one that is enjoy and you don’t have to spend a lot of time in to generate contacts. So not much radio left for me this year but I am disappointed to be missing Sweepstakes this year. I had planned to work most of the contest but suffered radio issues with my Yaesu FT-1000MP and lost 15M. The other bands were nowhere near as hot, so I shut things down and hoped to return when 40/80M open. Unfortunately as I got set to start I could not hear anything on the low bands. Not even N6O, just 3 miles down could not hear me. This was my final effort for 2011 CQP. Going back to the 2010 CQP I had power issues with the rig, which cut my contest to just under 4 hours, in my inaugural year participating in the contest. Last year I was assigned K6B by the FCC to help celebrate the 40th anniversary of the NCCC. I got the permission to extend using this call sign for the 2011 CQP. Each of the prior years I have operated as a single op, high power. This year I will be a single operator, but looking at running low power (200 w) for the contest. That could change and probably should since it is one of those rare times where people want to talk to me! Might make it more enjoyable as well. Currently I am negotiating to get Sunday off from work in order to extend my operating period from 10-12 hours to 20-22 hours. I really have no plan as to where I will start or how I will operate. I will look to improve my 2011 totals, which were 382 total QSOs, of which 41 were CW. I am going to make more of an effort to secure CW QSOs. My goal this year will be to work all 58 counties. I ended up 7 counties short last year. With any luck doubling my operating time should award me with those missing 7 QSOs. If I can’t secure time off on Sunday, then I will log about 10 hours during CQP. I will give the station a once over today and repair one radial for the SteppIR. I will run some power through the Alpha 76PA to make sure all if as it should be and be ready to go when I get home early from work tomorrow. I will miss the start of the contest by about 90 minutes. Regardless of what happens, it will be a great operating time during CQP that kicks off the new contest season. Looking ahead (and time permitting) I will participate in ARRL Sweepstakes and CQWW DX CW in November.